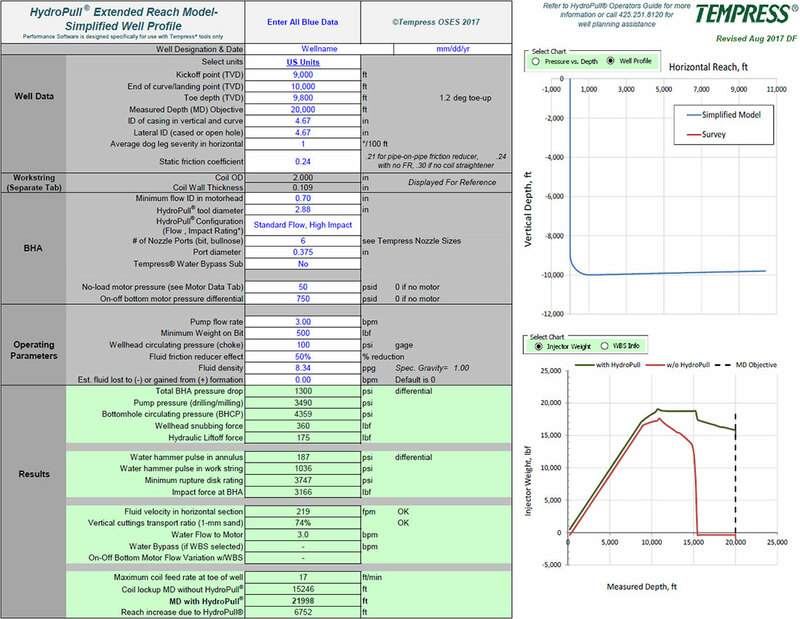 A proprietary software program is available for HydroPull tool job planning. The software evaluates circulating pressures in the well and horizontal reach capabilities based on a set of input parameters. The program also calculates pump pressure requirements, the transport of sand and cuttings in the horizontal and vertical sections of the well, predicted lockup, and the rate at which the tool will pull tubing into the well. An example of the software output is shown below to the right. A proprietary software program is available for Motor Gas Separator tool job planning. The software evaluates the best separator performance range for the job. The software outputs circulating pressures in the well, the transport of sand and cuttings in the horizontal and vertical sections of the well, equivalent fluid flow rates, and the amount of gas separation based on a set of input parameters. 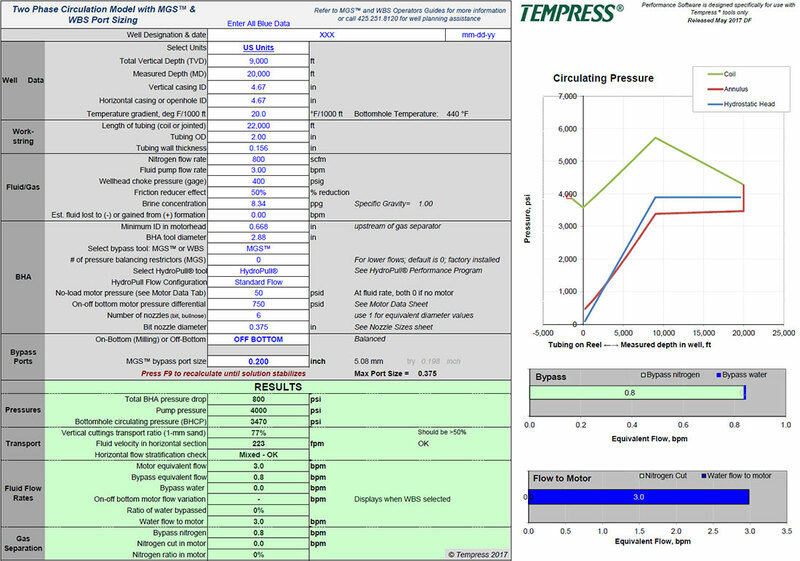 Training on the use of Tempress well circulation software is available for customers planning to run Tempress tools. Access to the software is provided to our customer base in the Client Login area on this website. Contact Tempress for assistance in planning your well interventions using any of our tools, custom tools, or tool combinations.